So, you've held some workshops and have produced an 'as is' BPMN process model. Before changing it, how can you be sure it represents how the work actually takes place? 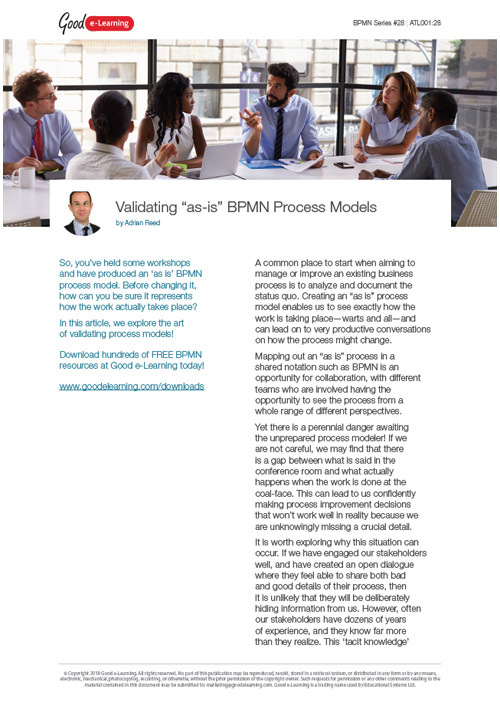 In this article, we explore the art of validating process models! A common place to start when aiming to manage or improve an existing business process is to analyze and document the status quo.